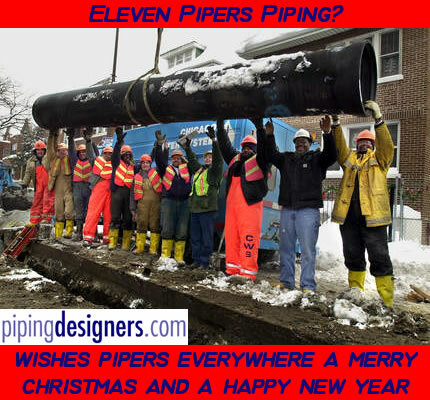 pipingdesigners.com would like to take this opportunity to wish everyone a Merry Christmas and a Happy, Safe and Busy New Year. Thanks to PipingdesignU & AutoDesk, their Sponsorship, in the form of taking advertising space on pipingdesigners.com helps us keep the site running, in terms of software upgrades & licences, servers and other day to day expenses, all meaning we can keep getting you the information you need. So, please, take the time to look and see what they have to say. If you’re using AutoPLANT, you’re missing out on the latest version of AutoCAD® software. AutoCAD is made by Autodesk—and is at the core of Autodesk plant solutions. Our plant design solutions build on the latest version of AutoCAD and include comprehensive software for design, modeling, and project review to help you stay on schedule and within budget. This month, has been relatively quiet in terms of articles, but we are working on some new ones to roll out in the new year, so watch this space. 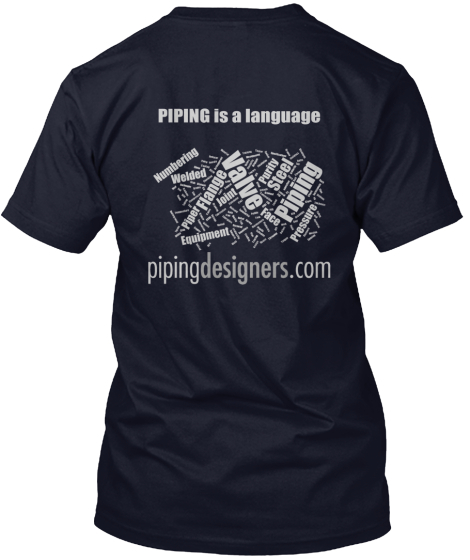 We have launched our latest T-Shirt - Piping Is a Language. It is available here (or through the links on the site). ​As a Christmas bonus to registered members ... login to the site and by clicking on the t-shirt link, you will automatically get a $5 discount ... just for being a member. We are looking for a new approach to writing articles for our various sections, such as the Tips, Tools & Training area of the site, and what we want to try is to "crowd source" an article. Someone suggests an area of training or general interest, and we use a specific forum thread to gather thoughts, opinions and debate on the subject. Given the number of users on pipingdesigners.com, we have amassed thousands of years (quite literally) experience in the piping field. The hope is that this will enable many pipers to take some ownership of what appears on pipingdesigners.com. Once we feel we have reached a good level of comments on the thread, we will pull together the comments, and edit / weave all the debate and opinion into one coherent document. Probably easier said than done, but I'd like to see what we can do. Why not give your opinion on the first article - Pump Piping? We have also introduced a "Tag Search List" menu, under CONTENTS. This will give you a list of all tags used on the site, clicking on any given tag with display a list of all content with that tag. All of our Articles, Tools, Menus etc, have smart tags associated with them. At the bottom of any article, ,you will see Tags (like little blue buttons). Clicking on these will bring you to a list of all content that has the same tag. If you have any suggestions for New tags, or articles that may need to have particular Tags added, please let me know. Have you visited you profile on pipingdesigners.com yet? Maybe it's time you took a look. As part of our drive to bring new features to the site, we have merged the forum with the rest of the site, with the exception of the jobs board. This means that your forum profile now enables you to login site wide - meaning, once logged in, you can comment on articles, connect with other pipers and post some of your fancy 3D Piping images on your gallery - to show off to other pipers. A new feature added is the group function. This works with the Forum. 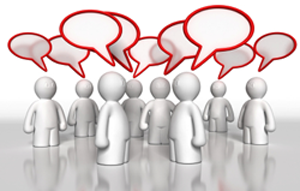 You can join a group using the group Tab in "My Profile"
Currently there are groups set up by country - join a group for your country, and you get access to the group section in the forum - here you can chat casually among pipers from your country and discuss local issues. Take a look at your profile today, and see what the piping world sees, when they see your name! The Piping job board is going strong. It is updated daily with hundreds of piping roles (just piping roles) from around the world. We don't want you to have to trawl through irrelevant jobs for other disciplines to find what you're looking for, we want to you be able to see just the piping roles you are looking for. You can also register your job profile and place your resume online with us to make it easier for employers to find you. *Note: the login/registration for the jobs area is separate from the Main site login. Share the love, and please forward this to other pipers that may be interested ... they may even thank you for it!